In the recent development, Xiaomi backed Huami which is a wearable brand has currently launched its two new smartwatches in India. This launch comes after the huge success of the Amazfit Stratos as well as Amazfit Bip which are launched in India a few months back. It has been now seen that Huami is now trying to expand its portfolio in India with bringing of two new smartwatches. The two new smartwatches are Amazfit Pace and Amazfit Cor. 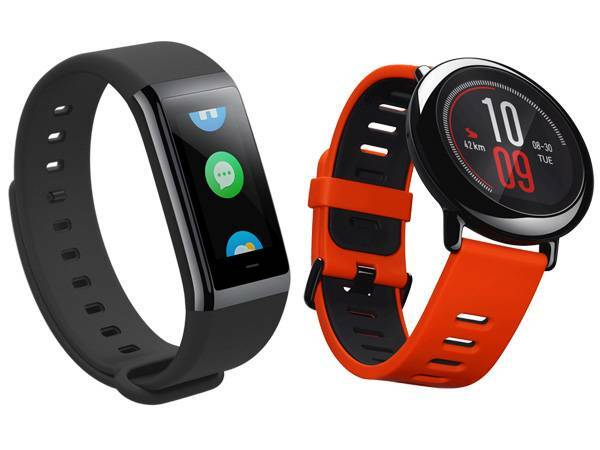 These two new smartwatches are available only on Amazon India today. The Amazfit Pace has got the price tag of Rs 9,999. This new watch is said to be the high end of the two as well as it comes with the 1.34-inch circular transflective color LCD. This watch was equipped with the 4GB onboard media storage along with the other sensors that are heart rate sensor, built-in GPS, active monitoring, pace, time as well as calorie-tracking features. This watch is also water as well as dust resistant to the IP68 certification. When it comes to the battery life of the AmazFit Pace, the company said that the battery life will be about 11 days for standard use while 5 days for the heavy use. It can also last for about 35 hours if you go for continuous heart rate as well as GPS tracking. It has got a 2.4 GB of storage in it for music, as a result, you can use it as a music player. This watch is compatible with both Android as well as iOS smartphones. It will be available in two colors, black and red. The AmazfitCor is the next product of the company which was priced at Rs 3,999. The feature that it has got is not the same as the Amazfit Pace. This new smartwatch has got a 1.23 inch curved IPS LCD touch display. It will be coming with a Gorilla Glass 3 protection along with an anti-fingerprint coating. When it comes to the functions of the watch. It can able to track the sleep, heart rate, weather forecast, alarms, stopwatch as well as exercise trackers. You can also get the notifications of the phone too. This smartwatch is water-resistant which is up to 50 meters. The company said that the battery life will be lasting up to 12 days of normal use on a single full charge. This watch is too compatible with both Android as well as iOS.